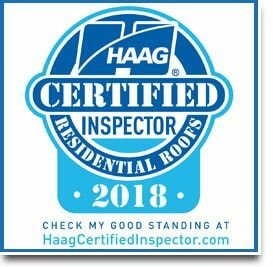 Call Now for a Certified Roof Inspection! Welcome to New Roof Plus, Colorado Springs CO! The hail storms this year in the Colorado Springs area were incredible and we are feverishly working with our customers to help them return their homes to normal as soon as possible. We are a homegrown Colorado roofing company, serving the entire front range from Colorado Springs to Denver to Fort Collins and all points in between. We work on roofs of all kinds – from residential homes with steep pitch designs to commercial buildings with complex to simple flat roof systems. If you need a new roof or roof inspection, we are certified at the highest levels in the roofing industry to find and assess any damage. Our teams have seen it all and have years of experience and knowledge to execute a perfect roof installation. So if using the best is important to you, we are a good choice. And read what others say about us, read our highly rated reviews. 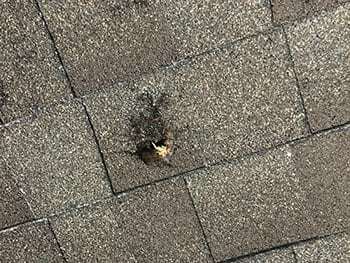 If your roof has hail or storm damage, we can give you a free inspection and estimate. 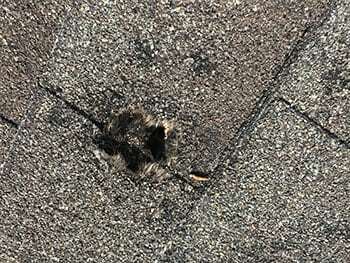 Hail and storm damage is usually covered under your building insurance plan and we have years of experience to help you through that process as well. Haag Certifications are rare in the Colorado Springs roofing market and they are even rarer when including the entire state of Colorado. Taking the initiative to continually learn and become the best in the business is what Greg and the New Roof Plus team are all about. We are building the best roofs and the best relationships one customer at a time. We hope to build a relationship (and maybe a roof) with you too! Being a locally based Colorado roofing company we believe in doing the right thing, being honest and fair. We believe in integrity and “The Golden Rule”. We live here in Colorado because we love it and we love the people. Coloradans appreciate being treated with respect and honesty. It’s our goal to reflect that, be good citizens and do great work, one customer at a time. To name a few, we work with the following insurance companies: Allstate, Farmers Insurance, Amica Insurance, USAA Property and Casualty, MetLife, Nationwide Mutual, Hartford Financial, Liberty, Travelers, State Farm, American Family and more… If your insurance company is not listed contact us to find out how we can help. We look forward to being your go-to roofing contractors in Colorado Springs.